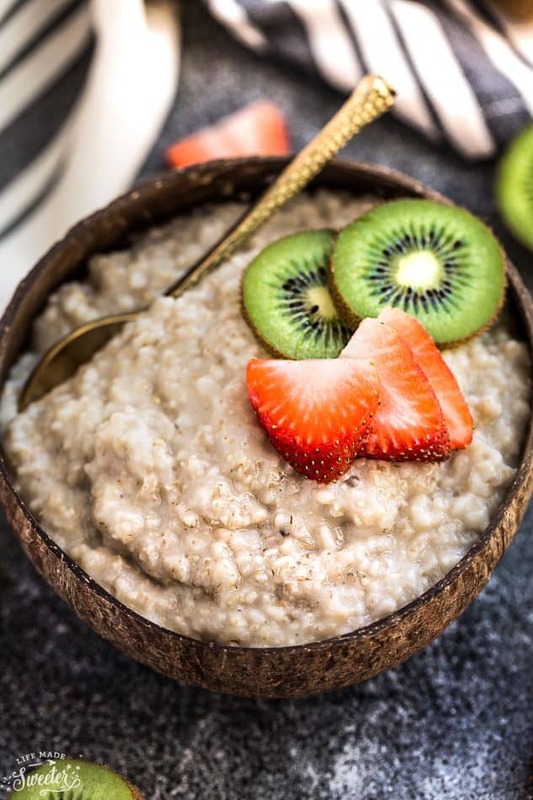 Instant Pot Oatmeal – an easy recipe for light and fluffy steel cut oats cooked in an electric pressure cooker. Best of all, it’s gluten free, vegan and you can customize it with your favorite fruit or berries! 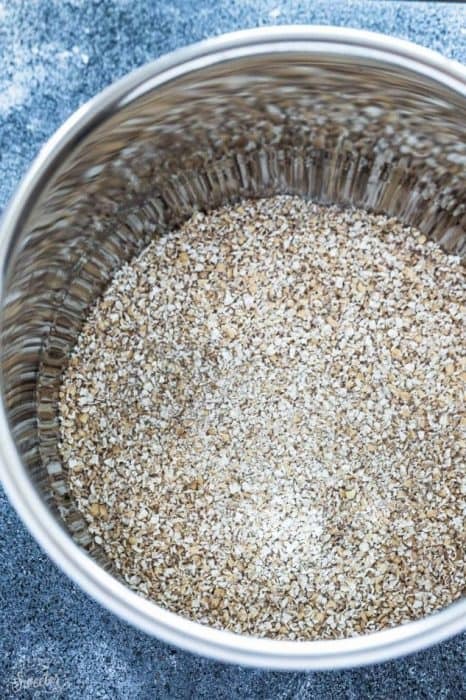 To make steel cut oatmeal in an Instant Pot, you literally just toss in the ingredients and it takes ONLY 3 minutes of cooking time. The best part of all is that you don’t need to stir your oatmeal at 6 in the morning. It’s totally hands off! Now if you are familiar with an Instant Pot, you do have to keep in mind that it takes the cooker some time to come up to pressure. This can take about 5 minutes. Plus you need to factor in the additional time it takes for the pressure to release naturally – about 12 minutes. So I would plan for 30 minutes start to finish for this oatmeal to be on your table. But the end results are totally worth it! You’ll get oatmeal that cooks up perfectly light and fluffy. 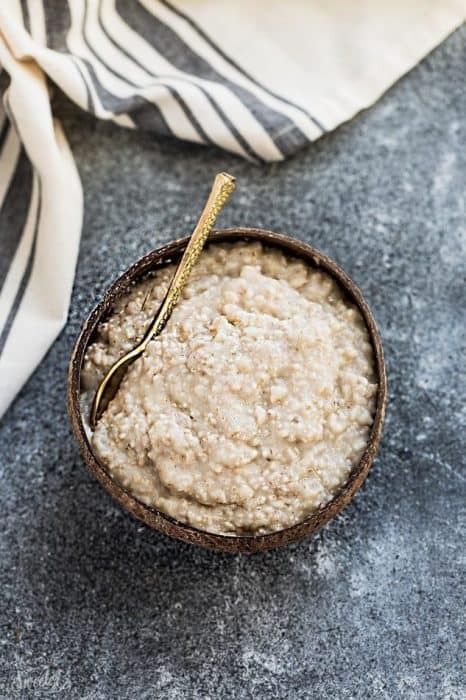 And while you can totally jazz up your oatmeal with sweeteners or any spices you like, this simple recipe contains just two main ingredients – almond milk and steel cut oats. Just add your favorite toppings and you’re good to go! 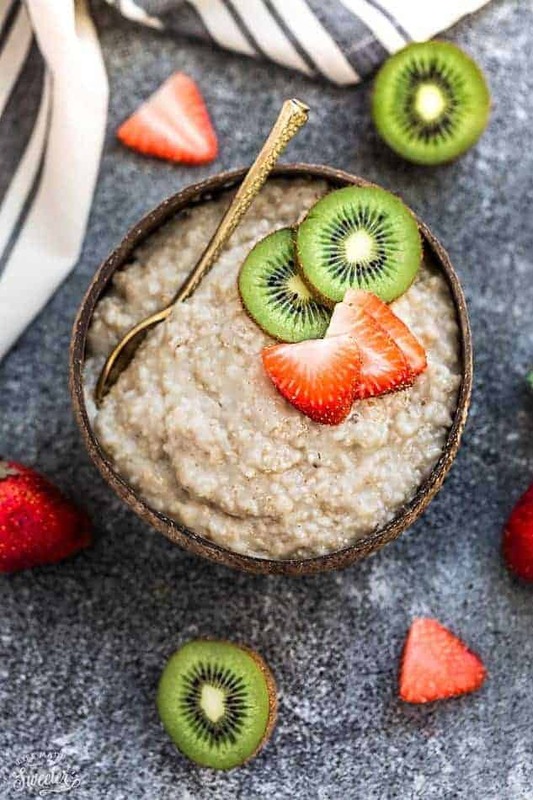 Instant Pot Steel Cut Oatmeal – light and fluffy steel cut oats cooked in an electric pressure cooker. Totally hands off cooking process and from start to finish takes about 30 minutes - see note below. Secure the lid and close the vent. Press the MANUAL button and set to 3 minutes. After the pressure releases, open the lid and give the oatmeal a good stir. Any extra liquid will absorb as it cools. Add cinnamon, sweetener or other additions you like. 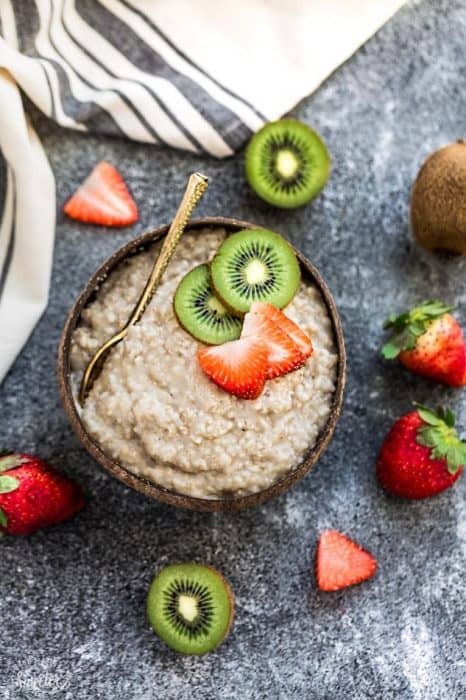 Top oatmeal with fresh fruit, nut butter, a splash of milk, or any other toppings you like. **STICKING - If you are worried about the oatmeal sticking, you can lightly grease the bottom of the POT with nonstick cooking spray or oil (I use coconut). 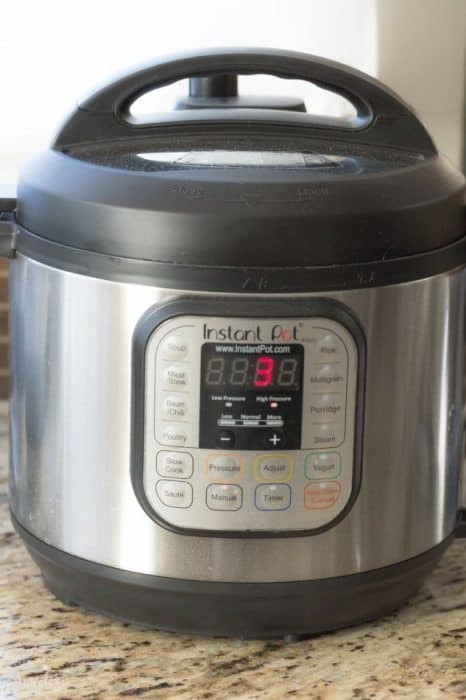 ***COOK TIME: Totally hands off 3 minutes of cooking process but it takes time for the pressure cooker to come up to pressure and to let the instant pot release naturally for at least 12 minutes. I would plan for 30 minutes start to finish for this oatmeal to be on your table.